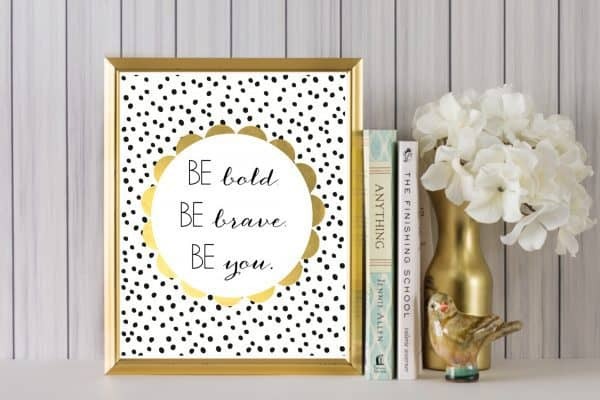 Be Bold, Be Brave, Be You. The older I get, the more I appreciate and see the wisdom in these words! This week’s free printable combines some of my favorite elements into a printable perfect for girls young and old alike! Just print out and frame for the perfect inspirational gift. Enjoy, friends! Love free printables? There are over 50 in our archives…perfect for gifts, party favors, and, of course, decorating your own home!